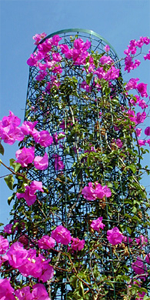 greenscreen® is a three dimensional, welded wire trellising system. The distinctive modular trellis panel is the building block of the greenscreen® system. Manufactured from recycled steel, this three dimensional welded wire system creates a captive growing space three inches deep to allow plant materials to intertwine and grow within the panel. 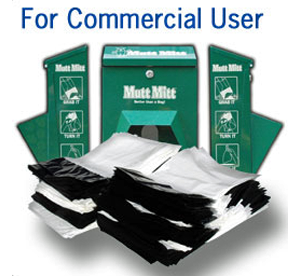 With the easily adaptable system of attachment clips, the panel can attach to a building facade, and can span openings between floors or horizontally between posts. 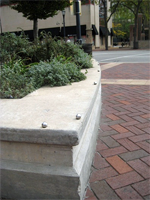 GrinderMinders®, By Member Grind To A Halt, Are A Sleek, Attractive And Extremely Durable Defense Against Skateboarding Damage. To A Tree Climbing Professional. 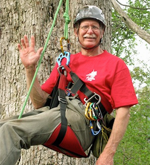 Tree Climbers International, Inc. Offers Tree Climbing Classes For Landscape Workers And Design Professionals With No Climbing Experience. 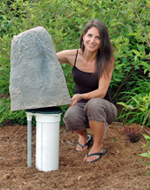 DekoRRa Products, LLC, Located In Rio, Wisconsin, Is The Exclusive Manufacturer Of DekoRRa Brand Artificial, Lightweight Boulders And Enclosures. 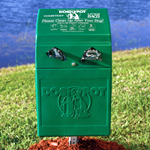 Dog-ON-It-Parks' mission is to turn off-leash areas into destinations with our full line of dog park equipment. A trip to the dog park is one of the very few multi-generational activities the whole family can enjoy, in a setting that is welcoming to everyone regardless of age or physical ability. 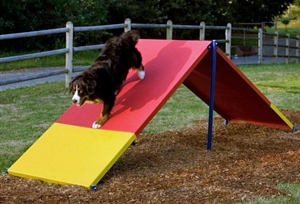 We design and manufacture dog exercise equipment, a wide selection of dog park furnishings such as our Dog Drinking Fountains, and fun dog park accessories like our popular Fire Hydrants. 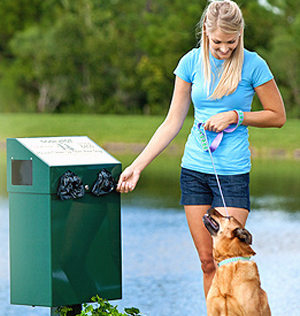 Our vision is to make every community more dog-friendly by helping to create destinations where both people and their pets can get exercise and fresh air.